As Conor and Addison trudge through their failing relationship they realize suddenly that they are trapped. Working together in an attempt to escape what seems like their last day together, they realize just how much animosity they have for one another. Of course, they've done this time and time again: the animosity turns into delusion, which then of course turns back into love, which then of course turns back into animosity. As they exist in this microcosm, as they relive the entire arc of their relationship in a smaller cycle, they can't help but feel like the monotony is permanent. But, something has to give. Life of Significant Soil explores the layers of a dying love, attempts to uncover the arcs of every relationship, and mystifies ladybugs arbitrarily. Originally from Phoenix, Arizona, Michael Irish graduated from the School of Visual Arts in NYC where he studied film. His first feature, "Life of Significant Soil," will enjoy its world premiere at the Brooklyn Film Festival. He currently resides in Brooklyn. The filmmaker would like to dedicate this film to Lex (who plays Conor), who passed away before the completion of the film. 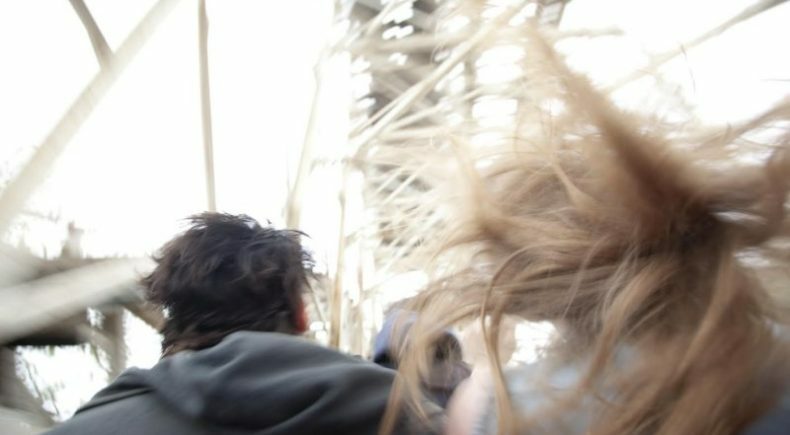 Writer/Director Michael Irish, Director of Photography Bradley Buehring and Leading Actress Charlotte Bydwell will be available for a Q&A following both the June 8 screening at Windmill Studios and the June 11 screening at Wythe Hotel.